We offer all types of Electric enclosure and cabinets used for various purposes. These cabinets are absolutely perfect for various uses as they have sufficient space and utility. These cabinets are very durable, beautiful and needs low maintenance. 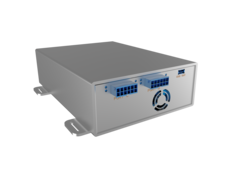 We have cabinets for power supply enclosure with maximum space capacity. Based on customer requirement we fabricate different type of sheet metal products. Our range of sheet metal components and sheet metal services includes sheet metal fabrication, sheet metal enclosure, sheet metal indoor cabinets, sheet metal outdoor cabinets, sheet metal assemblies and many more. Owing to our huge market knowledge, we have been able to offer our valued clients with a wide range of Sheet Metal Enclosure. We offer our customers a comprehensive range of Sheet Metal Cabinets Enclosures is manufactured by us using top grade raw material and sophisticated technology. Our range is demanded in corporate offices and industrial offices, due to its ability to provide excellent service. 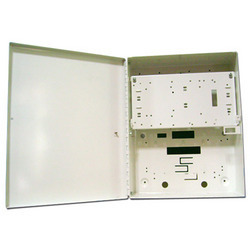 We also offer customized enclosures in adjustable shelves and dual applications. A comprehensive range of Sheet Metal Cabinets Enclosures is manufactured by us using top grade raw material and sophisticated technology. We are engaged in the manufacturing of Industrial Cabinet to meet the varied needs of corporate offices and industrial offices. These cabinets are fabricated using superior quality raw material and are available in adjustable shelves and dual applications. These are available in different specifications and can be customized as per the specific requirement of our client. Backed by prosperous industry acquaintance, we are offering to our patrons Sheet Metal Cabinet. Our products are strictly inspected on numerous industry constraints of quality in order to confirm its flawlessness. We supply Sheet metal cabinet on orders customized according to requirements. J.J. Electrofab (INDIA) Pvt. Ltd..